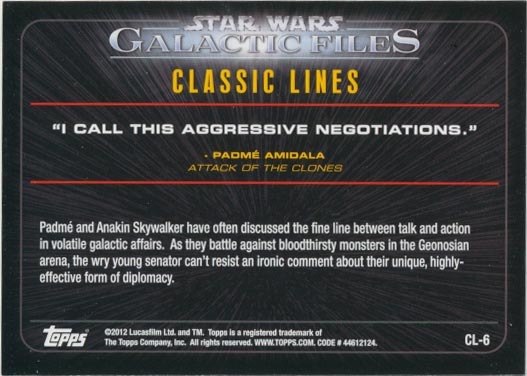 While Padmé and Anakin were on Naboo, Anakin describes Aggressive Negotiations as negotiations with a lightsaber. This card depicts Padmé’s comeback in the Geonosian Arena as she describes negotiations with a blaster rifle. 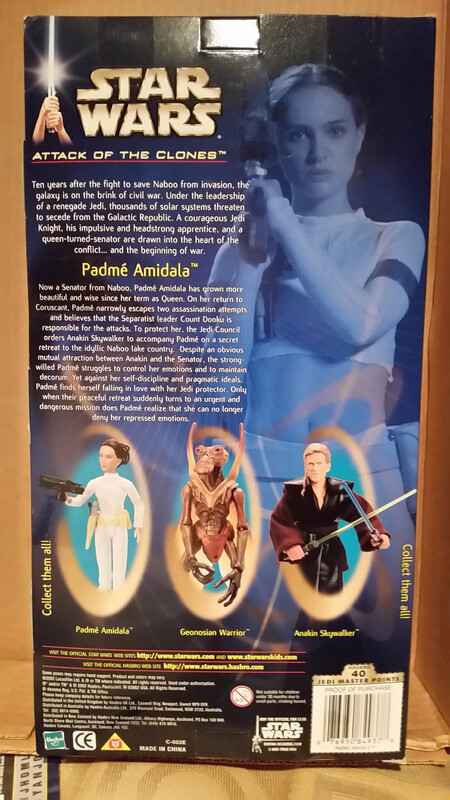 I bought the full set of Galactic Files from Triangle Cards at Dragon*Con in 2012. 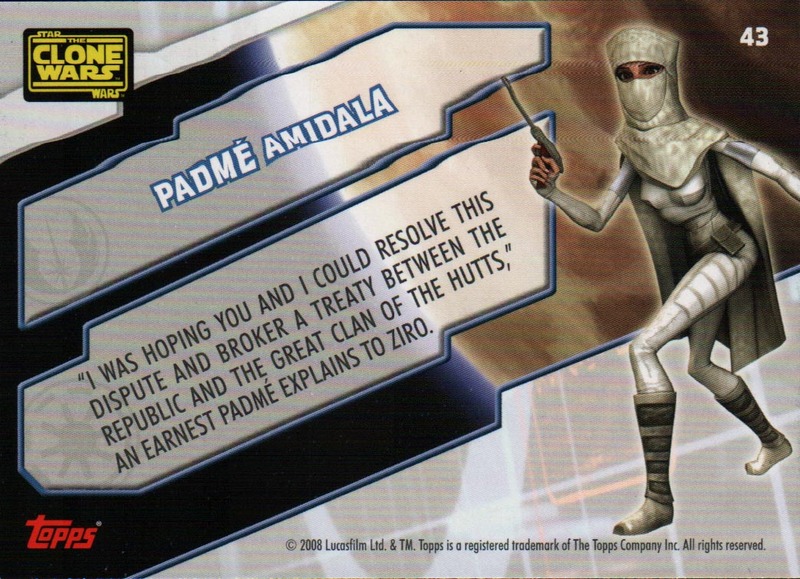 Series 2 of Galactic Files includes a large section of cards depicting characters from Expanded University sources. 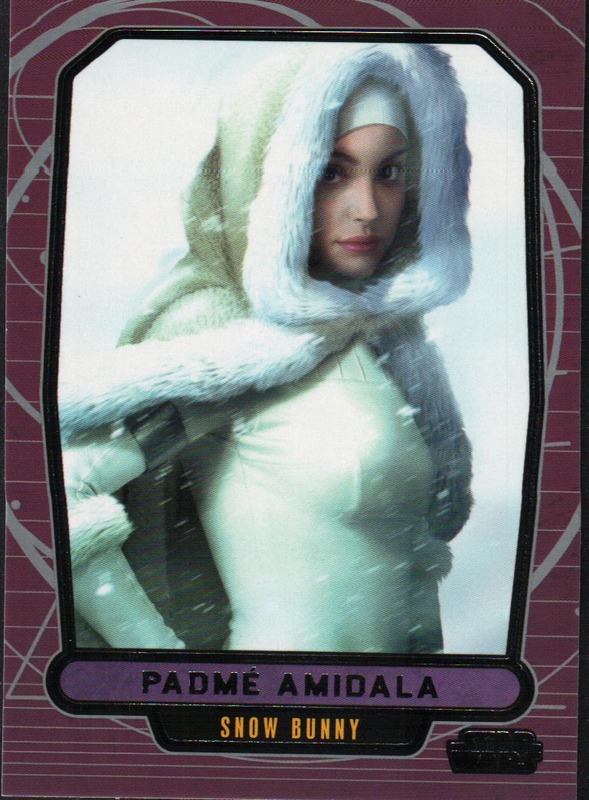 While most of these characters exist only in the EU, there are also cards for Han Solo, Leia Organa, and Luke Skywalker. 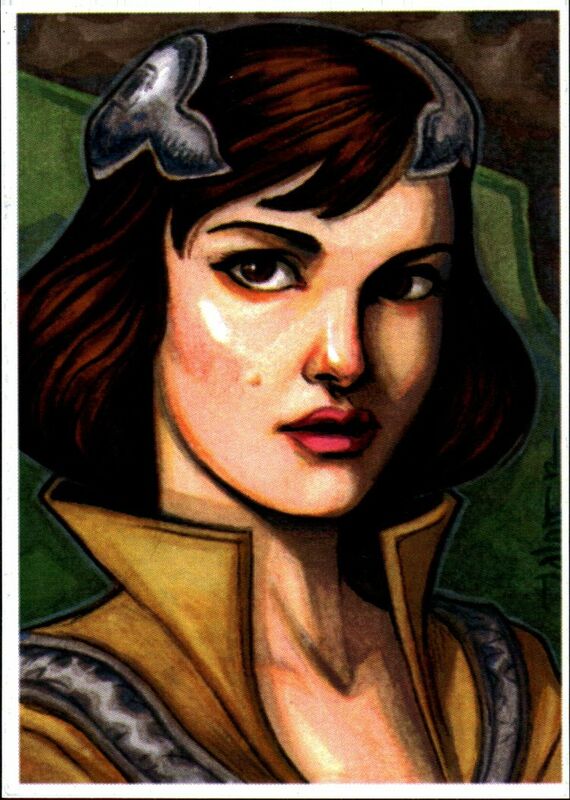 This card is based on Star Wars: Clone Wars but uses a realistic re-imagination using the likeness of Natalie Portman. I purchased two boxes from Dave & Adam;s Card World. 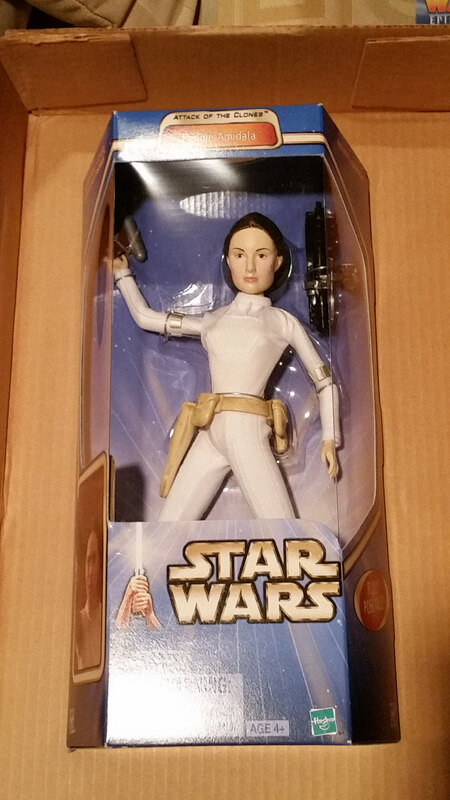 While Hasbro produced several figures of Padmé Amidala in 12″ scale, this is the only offering in their main line of 12″ figures. I bought this figure at Toys R Us. 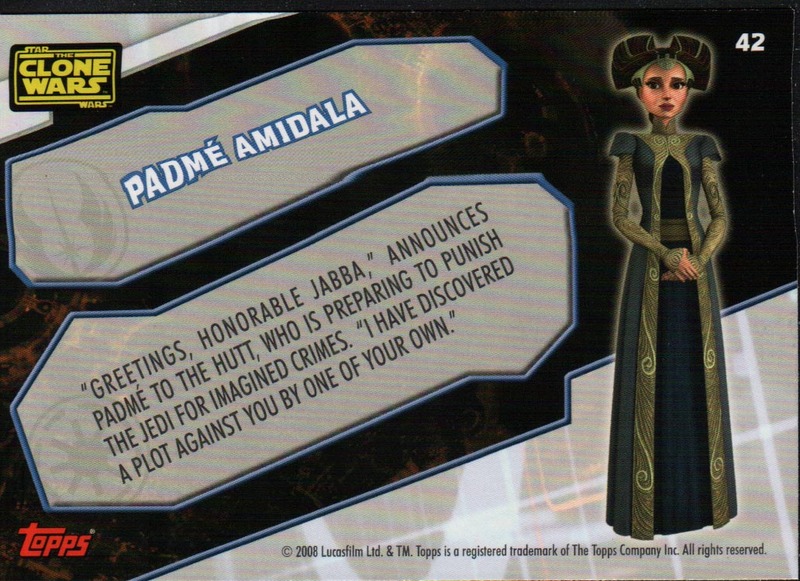 Following the release of Star Wars: The Clone Wars in cinemas, Topps released two sets of trading cards. 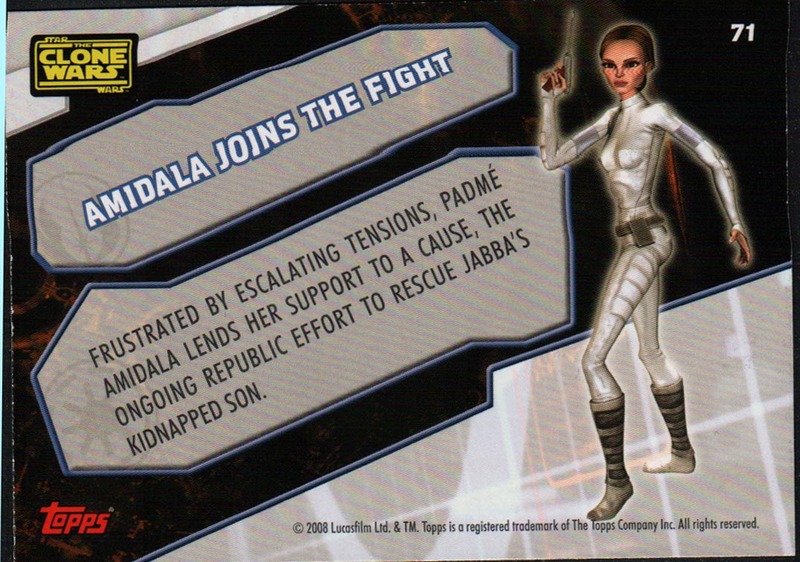 Far rarer of the two was the set of trading card stickers. 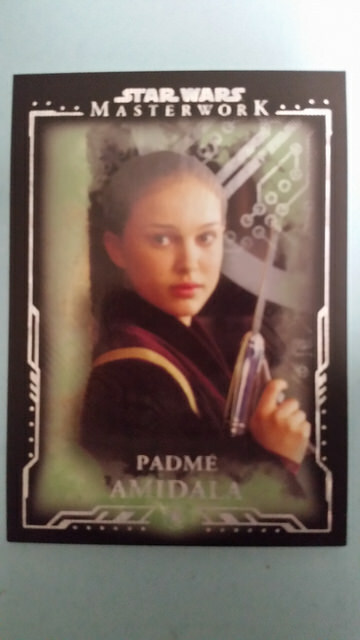 Padmé Amidala was featured on three character stickers (40, 42, and 43) and one scene card: Amidala Joins The Fight (71). 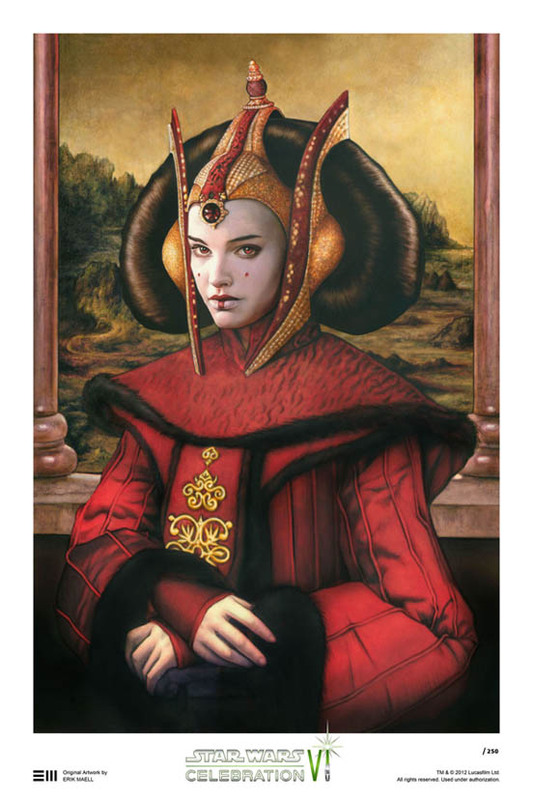 With her limited role in the film, Senator Amidala does not appear in the three main sets of chase cards. I bought these cards from a variety of sources, but probably completed a set with the cards I bought at Target. 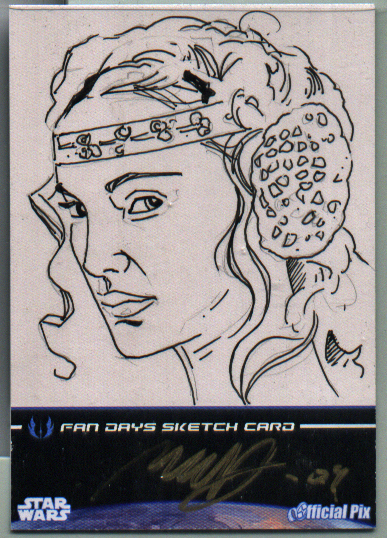 This sketch of Padmé Amidala in the Picnic dress from Star Wars: Episode II – Attack of the Clones was acquired in addition to the ones that were free with the VIP ticket package. 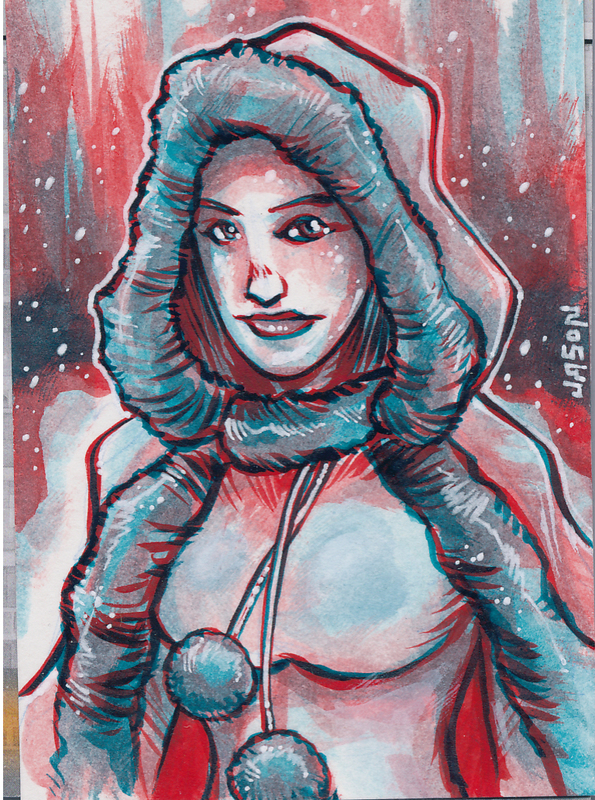 Much like the Star Wars Galaxy sets produced by Topps, the Rebel Legion costuming group created a series of art cards to raise money for Make-A-Wish. 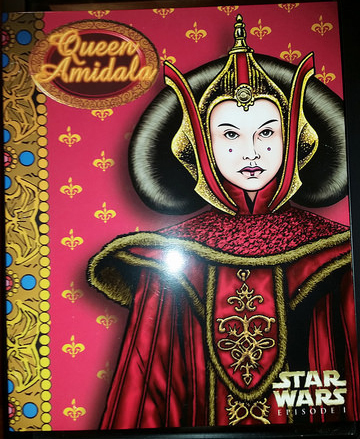 This set was distributed at Star Wars Celebration VI. I own both the original sketch and the card created from it. The original sketches were sold on eBay to raise money for the Make-A-Wish foundation.